You would think that a proud dad to three children and even prouder grandfather to three grandchildren would have his hands full. However, Dave Archer and his wife of 40 years Toni still manage to provide dependable junk removal service through their Junk King Palm Beach franchise. To the Archers, it isn’t just about clearing out the clutter that has accumulated over a lifetime. It’s about helping folks in need. Sometimes getting rid of junk can make all the difference. Of course, it also doesn’t hurt to be working in one of the greatest cities in the country. Now imagine applying that kind of hard work and dedication to your junk removal needs. The other thing to remember about Junk King Palm Beach is that this is a veteran owned business. Dave encourages potential customers to check out his reviews and even the reviews of his competitors. He is confident that when you need dependable and affordable junk removal service, Junk King Palm Beach is the best deal in town. This entry was posted in junk removal and tagged Junk King, junk removal on March 25, 2016 by Dave Archer. Last updated August 11, 2017 . After Dave Archer, 68, retired from his job as a marketing executive for a medical device company 12 years ago, he moved to Florida and realized he wasn’t ready for a steady diet of golf. This entry was posted in News on March 14, 2016 by Dave Archer. Last updated July 31, 2017 . 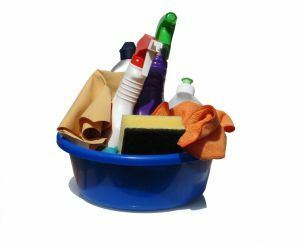 You have recently relocated your house but worried about the cleaning process. Well, your worries end here as junk removal services takes care everything for you now. Junk King offers you just the kind of services you are looking to get rid of the leftovers of the previous owners of your new house. Moving to a new house is no more a nightmare. You can leave all the worries to Junk king men and they will take care of all your trash removal trivial issues. The staffs of Junk King provide eco-friendly disposal solutions and make sure necessary precaution is taken while removing the trash. They are well equipped and have adept knowledge of their work. All you need to do is giving a call to them and say take my junk in Palm Beach to free yourself from the horrors of old garbage littering your new home. Junk king has pocket-friendly prices to suit their customers as well as interesting budget package to retain their clients. So what are you waiting for? Try their services today! This entry was posted in junk removal, Palm Beach Junk Pickup and tagged Take my Junk on March 11, 2016 by Dave Archer. Last updated August 11, 2017 . The bigger a construction site is, the more junk is there to deal in it. Thus, it is important to hire services of some commercial junk removal Palm Beach well in advance. It makes sure you get a clean and tidy construction area which is your responsibility. The idea behind hiring these services at construction sites assure professionals to work for you as soon as you need them. Or else it is become tough to get access to their services as per convenience. But that is not the case with Junk king. You can as for their services when and however you want. This entry was posted in junk removal and tagged commercial, junk, junk removal on March 10, 2016 by Dave Archer. Last updated August 11, 2017 . Old refrigerator lying in your yard is not appeasing to the eyes. You want to get rid of it as soon as possible. It is time for you to call professional junk removal services in Palm Beach. And the name that immediately strikes is Junk king. Yes, you heard that right. It is one of the efficient chains of junk removal companies. Well-known for its work quality, a man working under this banner is skilled in whatever he does. So, if you are planning to get your refrigerator disposed, do not worry they will take care of it. There two men crew will help you in every possible way. All you have to do is give them a call and there men will dismantle all the parts of the refrigerator, put them in boxes and tuck it away in their van. These guys will give you an estimate for the job completion before resuming their work. They are well equipped and have budget friendly packages to cater their clients. This entry was posted in junk removal, Refrigerator Disposal and tagged Junk Removal Services on March 6, 2016 by Dave Archer. Last updated August 11, 2017 . You are gifted with a new Chandelier and it is adding and extra oomph to your living room, gaining you praises by one and all visiting your house. However, you are not able to get over the fact that the old chandelier is taking half the place in your store – room and there is no way you are getting rid of it as it is heavy. What do you then? Well, in that case you can take professional help. Junk King reputation and efficiency in offering junk hauling in Palm Beach will get you work done in a jiffy. To get it done, all you need to do is to give them a call and ask them to dispose it off for you. A junk hauler might come for an inspection before taking it away. These guys dedication in their services are compelling and convenient. They make sure that your satisfaction is their priority. They offer you prices that are not budgeting friendly and easier on your picket. All you need is an old trash, a phone call and Junk King Men to get rid of your old worries. This entry was posted in Palm Beach Moving And Junk Hauling and tagged Junk King Haulers on March 3, 2016 by Dave Archer. Last updated July 31, 2017 . Junk King Palm Beach at Your Service! Have trash at your home? Cleaning is a daunting task right! It is even tough when you are looking at your old furniture and thinking where to dispose it. Well, a lot of homeowners are opting for services in yard waste removal Palm Beach. So, if you are a resident of Palm Beach and looking for all sort of help to get rid of your garden waste and other waste material you can take assistance from Junk king, who efficient budget and eco-friendly services in the city. The staffs of Junk King understand the predicament of getting away with trash and are fully equipped with top-quality garbage removal services. Just give them a call and they will take care of the rest. You can book their services online and make the most of these services too. Their two men crew will take away all your heavy furniture leaving your house spacious and beautiful. To know more about their services and prices take a look at their website and get the apt services by them. This entry was posted in Palm Beach Yard Waste Disposal and tagged yard waste removal on March 1, 2016 by Dave Archer. Last updated July 31, 2017 . When it comes to getting your big spring cleaning project accomplished, it helps to have a few extra hands. Hopefully, you can count on your family to do their part and clean up their rooms. It might take some extra cajoling to get them to tackle the bathrooms and kitchen but a little “bribery” might help motivate them into action. Consider a pizza party or trip to the movies. Of course, it will be great to come home to a clean house! 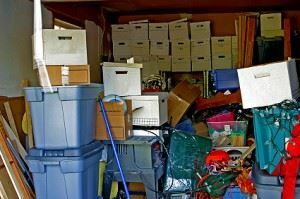 Although the dusting and scrubbing is important, so is removing the rest of your unwanted clutter. That is where a company like Junk King can make a huge difference. Junk King crews have been kept busy this year. So far, they’ve removed tons of furniture, appliances and other household goods from all over Palm Beach. They’ve also been called on by business owners to help clear out office space and other storage areas. Think about what having a pair of professional junk haulers can do for your home. You can tell your family that they can leave all the heavy stuff upstairs. When the Junk King crew shows up, you’ll just show them all the things you want taken away and they’ll remove them right from that spot. Junk King’s spring cleaning work can extend to the backyard as well. In the past Junk King crews were brought in to clear weed overgrowth from a backyard. They’ve also taken down wooden sheds, removed patio furniture and even cut a hot tub in half in order to load it up onto the truck. No junk removal job is too big or too small for Junk King. The arrival of spring also means Earth Day isn’t too far off. This is when we focus on all our recycling efforts and look for ways to further reduce our carbon footprints. Once again, Junk King is the perfect partner for this type of goal. Part of their mission statement involves a green way of disposing of what they collect. That has translated into a 60% diversion rate. Translation: Tons of rubbish has been diverted away from landfills and into recycling centers. That is helping keep Palm Beach green. Want to make sure your home is junk free? Bring in Junk King for your spring cleaning. This entry was posted in junk removal and tagged Junk King, junk removal, spring cleaning on March 1, 2016 by Dave Archer. Last updated August 11, 2017 .